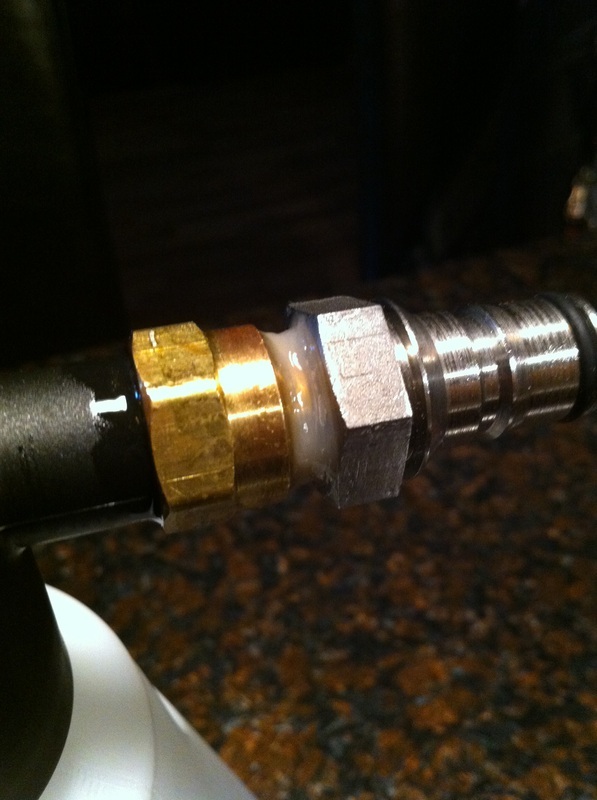 Here's an idea we borrowed from a member of the homebrewtalk forums for easy tap line cleaning and I honestly don't know how I lived without it. It's so nice to run PBW, water, and sanitizer through a single line instead of cleaning all of the lines at once like I did before. It's also great for cleaning picnic/cobra tap lines. 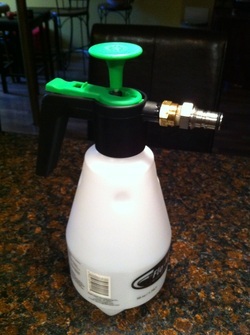 Although I don't have specific part numbers to share, all you need to do is pick up a garden sprayer (that has a nozzle you can unscrew) from your local hardware store and find the correct fitting to join the liquid post to the end of the sprayer. I tried thread tape at first which didn't work well because the sprayer is plastic. It didn't hold pressure until I glued the threads with a silicone sealant. When a keg is empty and pulled off the line, just throw some PBW (Powdered Brewery Wash) or similar product in the line cleaner and send it through. If your taps have an aerator, push back on the handle so all of the parts make contact. Next, put some water in to rinse the PBW and finally, some sanitizer to kill any bacteria lurking around. 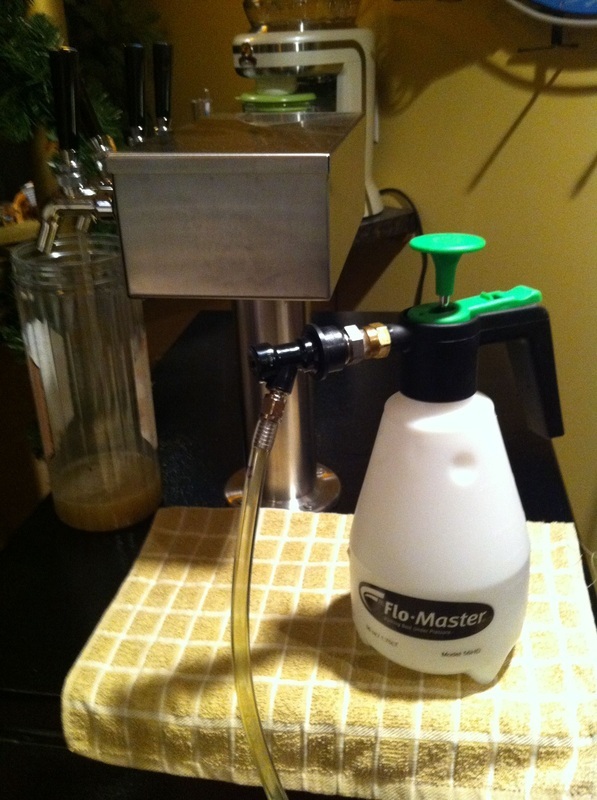 We leave the sanitizer in the line until it's time to put on another keg.